Commenting on the Local Government (LG) election results, UNP Deputy Minister Harsha De Silva today assured that he will do what it takes to cleanup and strengthen the UNP to deliver on their promises. In a Facebook post, the Deputy Minister thanked everyone in Kotte and across the country who voted for the UNP understanding that they are trying to deliver under difficult circumstances. “To them, let me me assure you that I will do what it takes to cleanup and strengthen the UNP to deliver on our promises. I realize we have to rebuild people’s trust in us. I will commit myself to doing so in the coming years at the national level and guide my Municipal Council members to do so at the local council level,” he said. He said that they have not been able to live up to the expectations of the large numbers who voted for them at the 2015 elections. “It was our failure and we must accept the reality. I will do my utmost to deliver on the promises,” he said. He said, personally, he has always shunned all types of corruption and engaged in ethical behavior. “I understand that sometimes various accusations are made due to party affiliation or association. While it hurts I deal with them according to my own faith and live my life the right way and try my best to do good,” he said. Meanwhile, the Deputy Minister congratulated the Sri Lanka Podujana Peramuna team led by Madhura Vithanage. “It is, as we all know by now, a reflection of the sentiment expressed pretty much across the island. I realize this vote is not against the candidates I put forward for the Council but against our party and the government in general. At the Kotte Municipal Council level I will be committed to ensure that I help create a clean, transparent Council that would be accountable to the people of Kotte,” he said,” he said. Sorry to say. Change the top level leadership and bring someone who understands common man feelings. The Only way UNP can survive is to get RW and RK OUT . Otherwise all of you can sit in the opposition FOREVER . We have No Hope on you too. Because, You showed your capacity in resolving common issues at SAITAM CRISIS. 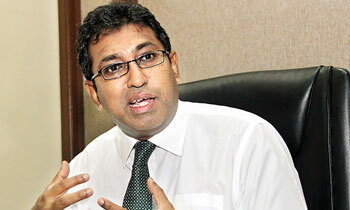 Decision bodies of the UNP REGIME have lacking in sense of general public. Education, Health, Subsidies to priority sectors and many more made people unrest and Thinking pattern of yours did not match with you all. Ex: laptop and WiFi concepts. You guys have already done the damage. It will be very difficult or may be impossible to get the trust of the people again. At least get all the people who robbed the country put in jail for a start. You just talk only Mr. Harsha. What can you do to clean UNP. What powers you got in the UNP, we do not Know. It has become scum and cleaning will be bit difficult. True, he also has pundit talks only. He couldn't solve SAITM problem. Yes, Kawda Hora played by the PM in Parliament, very clearly depicted his position. The problem with the UNP is the leadership and not committed to delivering the promises. If the corrupt were dealt the defeat would have been a victory for UNP. Dear Dr Harsha, really appreciate your sincere thoughts and sentiments. Do the CLEANUP first, strengthening will automatically follow. Getting rid of the unsavoury elements from the Party.should be the immediate priority. Stop your b.s talk. Do or depart before you are thrown out. You have no powers to do that job even if you are against it. how can you say the UNP was a failure?? your spokesperson Rajitha has already stated that it was a victory. as to him 45% for mahinda and 55% against mahinda ,sounds simple.only now , when the people hold a lousdpeaker to your ear and yell ,that you seem to hear at least something..now you talk about clean up . To do the clean up first need to get rid of the foot note gang. Very doubtful if you can clean up. If your government keep to the promises made at last general election that would be great. This local government election result is like another match fixing. When, in another two years - talk only, no action - first shoot and ask questions later. Please write a foot-note to RW! Who gave you phd? ?.24 years ranil as unp leader made unp lost.this is 30th loss.